Hi, my name is Betty and my son is Alex. We started Gymboree in January and it has been our second home ever since. 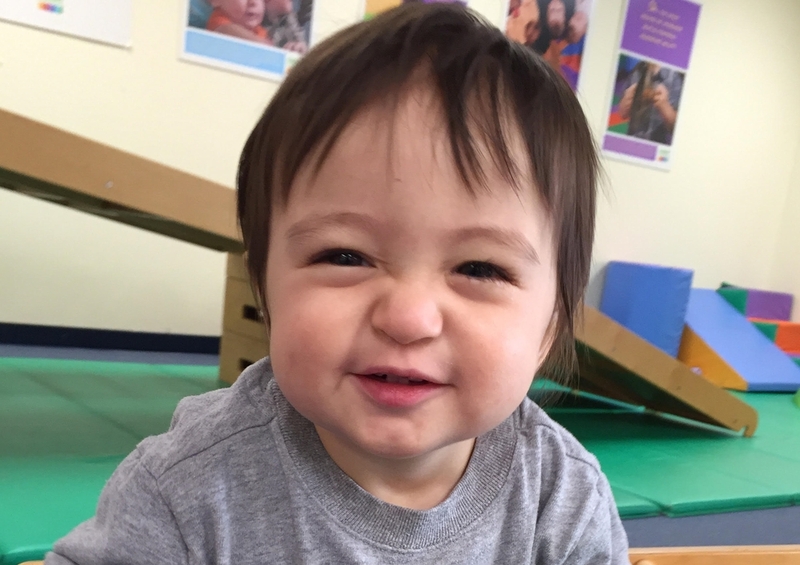 Alex is very active, and Gymboree provides a safe place for him to run around, climb on ladders and inclines, and explore different obstacle courses. When Alex was beginning to take his first steps, he was not confident enough to let go of our hands and walk by himself. Then one day, during an open gym at Gymboree, he was busy kicking and chasing a ball, and all the sudden I see him take off and walk across the room away from me! Alex and I both love bubble time and parachute time during classes, and Alex has gone from just sitting there and watching bubbles to actively chasing and popping the bubbles. Instead of sitting on the parachute, now he enjoys fluttering the parachute with the adults. Gymboree has been a wonderful place for Alex to discover new things and develop new skills, and we love every single minute of it! Meet Malia, the First Baby Prom Queen!